If anything the Nexus family is characterized by great support and development community that develops around it. New Nexus and Nexus 6 9 just take a few weeks on the market - there are even countries that have not yet or have not started deliveries - and the machinery of the community and the cooks already launched. Chainfire, has released the latest version of SuperSU to rooting quickly and easily the Nexus 6. To root the Nexus 6 simply download the file SuperSU from its official website and flash it via a custom recovery as TWRP. TeamWin Recovery Project now has its version 2.8.2.0 compatible with the Nexus 6 on their website. Therefore, first install the TWRP recovery 2.8.2.0, for this we must unlock the bootloader and flash the .img file in fastboot . When we have it, just go to recovery and flash the .zip file SuperSU. 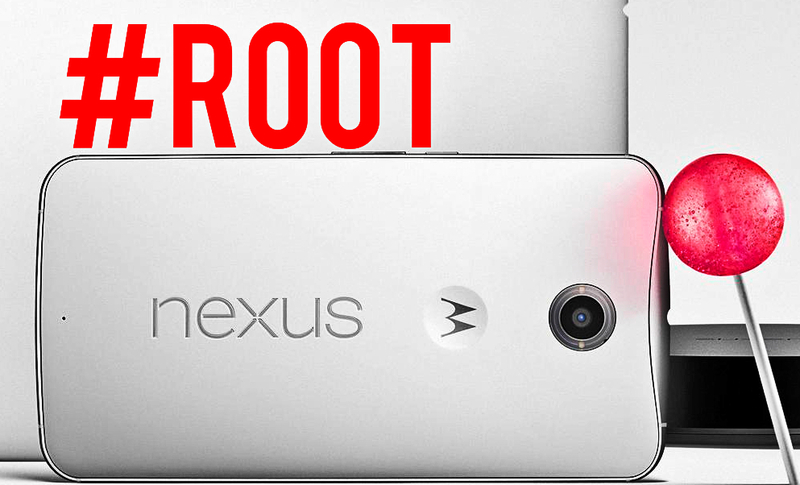 Finally your Nexus 6 will be rooted and Android 5.0 Lollipop kick off for installing ROMs, Mods, kernels and all my kind requiring gives superuser and Titanium Backup or any file explorer that allows to reach the root and system folders.